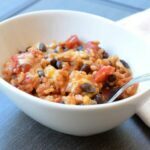 I don’t usually tell stories in my recipes posts, but I had to take the time to write this one as … well, as it involved risotto. My husband I took the kids to Vermont last year to go skiing. As we were driving back home through Canada, we hit a very nasty snow storm and within 30-45 minutes the roads had over 12″ of snow! There were no plows out yet because the storm had hit so fast and hard. We knew we had to stop because the roads were extremely dangerous. We ended up taking the next exit, as both our phones were under 10% battery and the gps wasn’t working. It was a tense situation to say the least. We found a hotel in a business district that had zero, YES ZERO, families staying there. The hotel mainly catered to business clients and they were shut down until the New Year. Well, we had to eat and since the hotel was on very (VERY) limited staff, we had to venture out AGAIN into the storm. We found a family style Italian restaurant and went in. Much to our surprise is was jammed packed, even in a snow storm!~ We sat and once we saw the menu we knew everything in this restaurant was hand made and the cheeses and wines were imported. 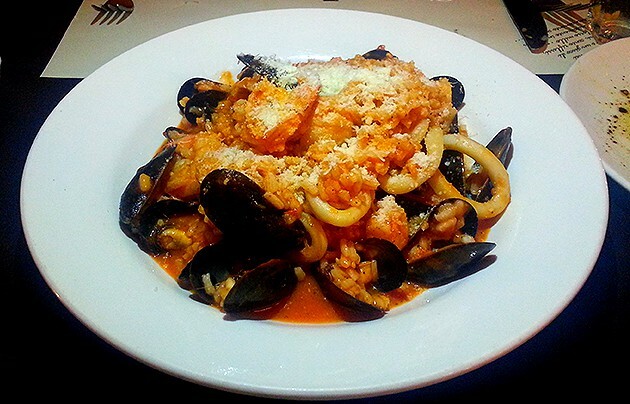 My husband ordered this Seafood Risotto which turned out to be the most incredibly creamy and luxurious risotto I’ve ever tasted, but it was COVERED in freshly caught mussels, shrimp and clams! This risotto WAS and CONTINUES to be the MOST memorial meal he’s ever eaten. 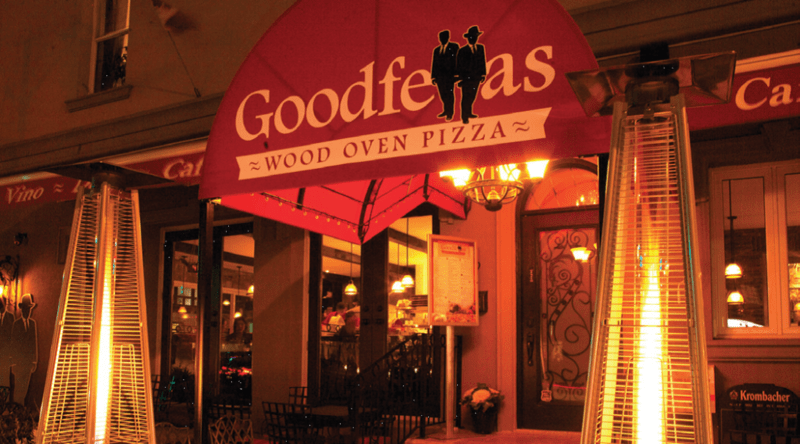 The name of the restaurant for any of our Canadian followers is Goodfellas and is in Mississauga. They have authentic Neapolitan wood oven pizza, handmade pastas and the most warming environment I’ve been in. Up until that day I had never had risotto. I talked with the chef about it and how it was made. He gave me some tips and hints and I’ve been making it at home ever since. 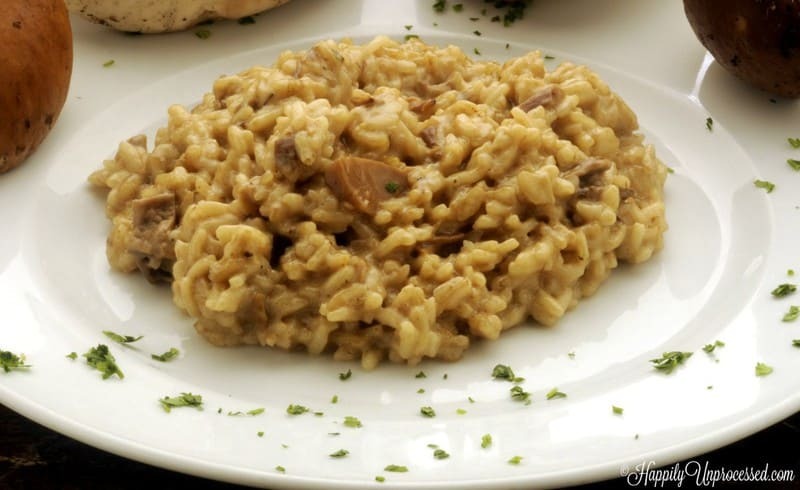 Risotto is an Italian rice dish cooked in a broth to a creamy consistency. It tends to be a little intimidating but it doesn’t have to be. 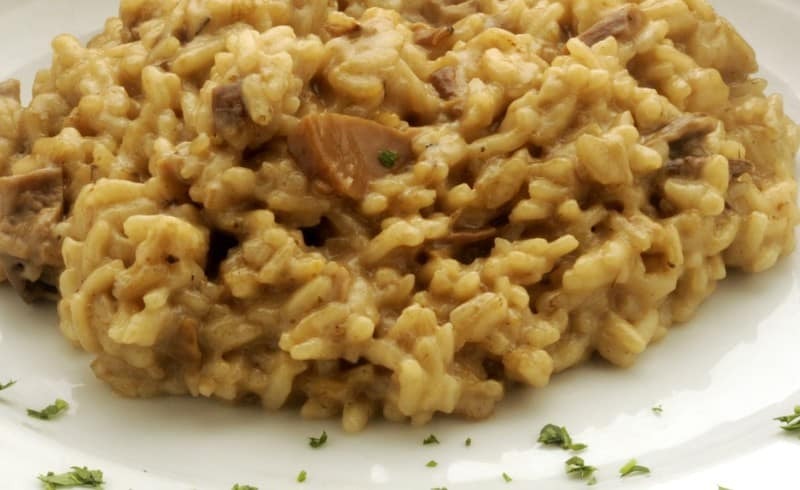 In Italy, risotto is normally a primo (first course), served on its own before the main course. 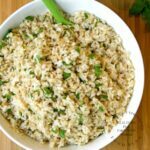 Risotto, at its simplest, is a hearty, warming rice dish, rich with the flavors of the stock used in making it. 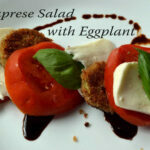 Usually a high quality Parmesan cheese and butter are added at the end to increase the richness of the dish. 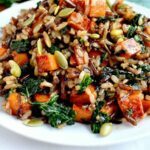 You can also pair hundreds of ingredients like mushrooms, for example, or butternut squash. Cooking Risotto is different than cooking rice. Risotto needs to be cooked very slowly absorbing the liquid as it cooks being incorporated little by little. It takes time and a watchful eye, but when it’s done ….. it is SOOOOO worth it! Another tip is to heat the chicken broth until it’s warm and leave it in a small saucepan over very low heat.